Dr. Kyung-Jin Min is Associate Professor at the Department of Biological Sciences, Inha University, Incheon, Korea. Dr. Min received his BS and MS in Biology from Korea University, and PhD in Zoology at University of Texas, Austin. Previously he did his post-doctoral research at Brown University and was assistant professor at University of Alaska, Anchorage. His research focuses on testing compounds and extracts that may be able to positively impact the underlying causes of aging-related disease using Drosophila, the fruit fly. Recently, his experiments were able to confirm these effects for curcumin, D-chiro-inositol and mistletoe extracts. Another recent result of his research showed that the life expectancy of Korean eunuchs are at least 14 years longer than normal men, showing the clear cost to human longevity by reproduction. 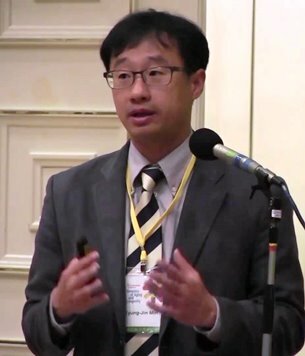 He currently serves as associate editor of Entomological Research, review editor of Frontiers in Genetics of Aging and director of Korean Society for Gerontology.